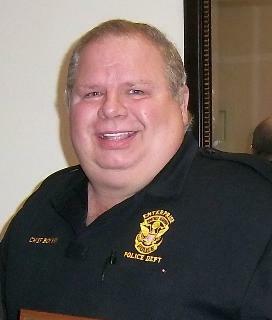 The Police Benevolent Foundation, Inc. and the Mississippi Division of the Southern States PBA are in mourning for one of their own and rallying behind the family of Enterprise Police Chief Randy Boykin. Chief Boykin was hit by a car while directing traffic outside of a local school and later died from his injuries on Tuesday, March 19th. Chief Boykin was a staple in the community and will be missed by all that knew him. The Police Benevolent Foundation has established a “Chief Randy Boykin Memorial Fund” at Regions Bank. Donations can be made at any Regions Bank through the Police Benevolent Foundation to assist in efforts to provide financial support to Chief Boykin’s family in this time of need. Donations can also be made through the Police Benevolent Foundation by clicking the link below. **PLEASE BE SURE TO DESIGNATE THAT YOU WOULD LIKE YOUR DONATION TO GO TO THE "CHIEF RANDY BOYKIN MEMORIAL FUND" IN THE DESIGNATION BOX ON THE DONATION FORM. The Police Benevolent Foundation is also taking donations via text message in memory of Officer Boykin. You can help Officer Boykin’s family by texting, “COPS BOYKIN” to 85944. A $10 donation will be made to the "Chief Randy Boykin Memorial Fund" through your cell phone bill. The PBF is asking everyone to please pass this information along to friends and family. Chief Boykin’s family will need everyone to rally behind them during this difficult time. It is with a heavy heart that the PBF and MSPBA ask for the help of the community, both locally and nationally, to aid in efforts to provide much needed support to Chief Boykin’s family in this time of distress.